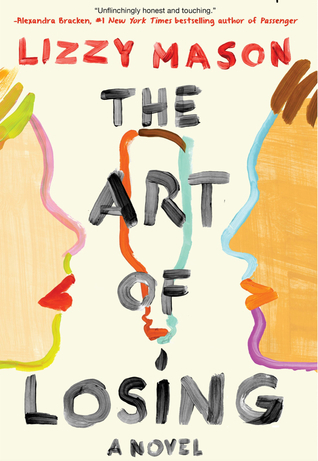 ARC Review: The Art of Losing by Lizzy Mason | A Book. A Thought. 8 February, 2019 7 February, 2019 / Sofii @ A Book. A Thought. The book is about Harley, who being at a party, finds her boyfriend cheating on her with her younger sister, because of this she immediately runs out of there, which is why her boyfriend, (now ex-boyfriend) Mike, is the one who ends up taking her sister Audrey home, and they end up having a car accident, recording that causes Audrey to end up in a coma. Meanwhile, Harley tries to deal with all her emotions, from the rage of treason to the pain of guilt. All this while she begins to reconnect with her childhood friend Rafael, who’s a recovering alcoholic. The book is from the very beginning very hard because we see our main character having to deal with a lot of pain because of her sister’s accident, but also with a lot of anger for her betrayal, not only her sister betrayal but also her boyfriend’s, since he was driving drunk the night of the accident. So we have many mix feelings and thoughts throughout most of the book. I think that for me, all this internal struggle of Harley was very real, I feel that she acted in ways that are quite understandable to her situation and although I don’t say that they’re the right ways of thinking or acting, I was able to put myself on her situation and feel that internal struggle. I really liked all that, I think that’s what the author wanted to convey and although I’m sure that we’ll all have different opinions, it’s very interesting to see all the states which the main character passes through. The writing style was good, it’s difficult to maintain a good pace in a story when you talk about such delicate topics, that can also be so heavy, you know?, but I think the author has achieved it. She has managed to balance the pace of the book very well since I think it’s very quick and easy to read, but she doesn’t stop focusing on the main topic, which is very hard. Then we have Raf, who’s her childhood friend and whom she reconnects with. He’s a very good boy, I liked him a lot, was interesting to see his own internal struggle as well, which involves his recovery after the rehabilitation, and the death of his sister. The romance is quite adorable although I enjoy it more towards the end. I quite like Harley’s best friend too, Cassidy, she’s very fresh and loyal, and I love how much she supports her friend. As for addictions, I think it’s the central point of the story, so if it’s something you don’t feel comfortable with I wouldn’t recommend reading it, on the other hand, I think it’s played in a very real and raw way and it shows the reality of alcohol addiction and other substances and how difficult it is to quit. In addition, the topic is generally spoken with a lot of respect and information. Harley not only comes living with the alcoholism of her ex-boyfriend but also live it with her re-connection with Ralf, who’s in recovery. So I would say that the book is about her learning to deal with this and learning to know what to do in certain situations. The relationship among the sisters I think is quite natural too, they fight and love each other as all sisters, so you can feel identified if you have one. I think the whole issue of “betrayal” itself doesn’t really have closure as such, they end up having a little talk about it, but it’s not big deal. I think most of the healing and transformation was on Harley’s part as individuals and within herself. So if you like stories about sisters, about difficult family situations, acceptance, and learning, I think you can enjoy the book, besides as I said, it’s very easy to read. If the subject of addictions is something that interests you, this book has it as the main theme so you’ll surely like it. Maybe you asking yourself why I haven’t given it a higher rating, because, in fact, I think it’s a very good book. Well, the thing is that I feel that my rating is very fair and matches perfectly with what I feel towards it. It was a good book and possibly it touched many people, but I feel that it was something that although I enjoyed, I probably forgot with time, was something missing to be incredible for me, but that doesn’t mean it’s not for you. So if you read it, I hope you enjoy it a lot!! Great review Sofii 🙂 I like contemporaries similar to this one so I can’t wait to pick it up! Wow … this sounds good but SUPER heavy. Great review! I’ve been reading a lot of heavy books recently, so I may wait a bit before getting this one ha-ha! I loved your review! 😊 And this book sounds interesting. 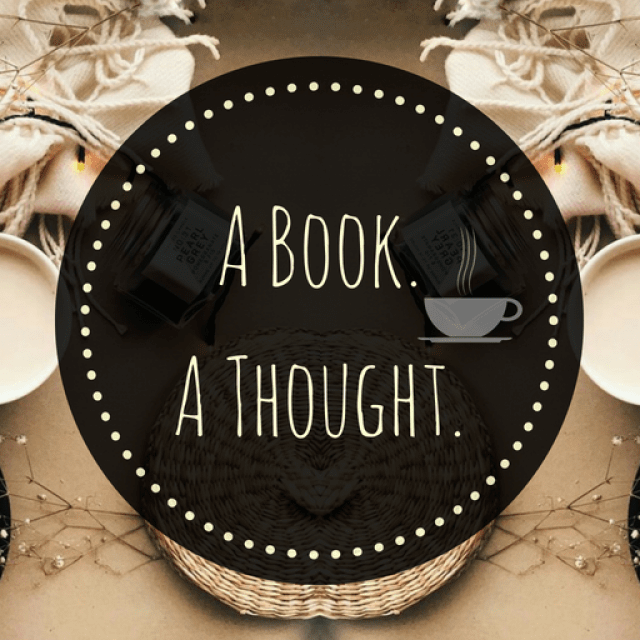 I’m probably going to add it to my TBR. Pingback: February Wrap Up || Fierce Female Read-a-Thon, Fantastic February & Mini-Reviews || 2019 🌸 | A Book. A Thought.